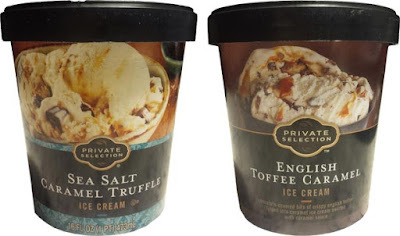 [By Nick] I've been home from Georgia for two weeks now so let's look at the caramel duo for Kroger's Private Selection line before any more time passes. This was the flavor my girlfriend went with. Honestly, I'm so done with this flavor combo. The majority of brands out there have a salted caramel truffle flavor and this one is no different. I will say, the caramel base is delicious. It's not just a glorified vanilla. It tastes like a buttery, sweet caramel which is the perfect offset for the salted caramel components. While the swirl isn't too visable, you can taste it easily against the base. It's salty but in a tolerable one. It's not overpowering and works well with the base. The truffles reminded me more of peanut butter cup mix-ins. They're not the standard you find in every other ice cream and gelato out there. They do however, taste the same. A milk chocolate shell encasing a bunch of salted caramel deliciousness. Now is this going to reevaluate your thoughts on salted caramel? Not likely, it's not my favorite salted caramel truffle flavor on the market. That said, it is tasty and cheaper than most options out there for a super premium options. I say give it a go if you have a Kroger's near by. If it wasn't obvious that I would grab the toffee flavor for myself, you have no idea who I am. 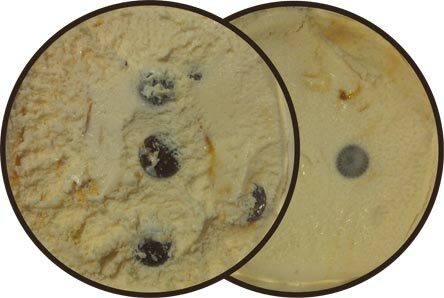 I'm all for more toffee in ice cream, especially after the Ben & Jerry's fiasco that's still going on. This one shares the same caramel base as the last flavor so I'll stop there so I don't repeat myself. That said, this one has far different mix-ins. First off, the caramel sauce is visible and tastier than the salted caramel version. It's richer than the base and amplifies that caramel flavor. What I love most though is the swirl's texture. You don't find too many caramel sauces that are gooey nowadays but Kroger knows what's up here. The thick, richness makes this a strong candidate for my favorite caramel swirl to date. What wins me in the English toffee bits. 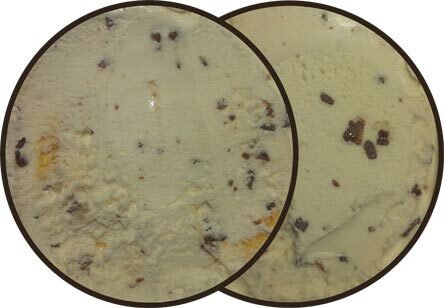 They're more like chocolate chips in size and look like a stracciatella with just how many of them are in this ice cream. There's not a single scoop where you don't get a few bits of toffee in it. While it doesn't say they use heath bars, the toffee tastes exactly like the bits you can buy for topping ice cream with. Aka, they're delicious. As a whole, this is easily my favorite toffee flavor on the market. I highly recommend this to anyone looking for a caramel and/or toffee fix. Salted caramel is the new vanilla - I.E. so overdone and boring at this point. we love it, it's the bomb !